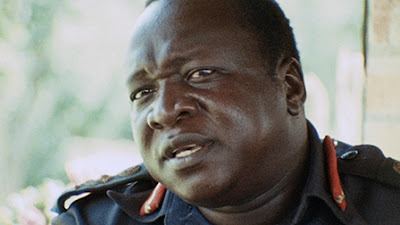 In 1967, director D.A. Pennebaker was only a few years younger than both Kilgallen and Daly were in 1958, butwas fortunately far more receptive to the nation's new dominant musical genre. When tasked with filming the Monterey Pop Festival on three sunny California days in June, 1967, Pennebaker not only took the event seriously, he rendered it an almost instantly myth, a cultural landmark that still exerts considerable sway a half-century later. Pennebaker was hired in part because of his success with the Bob Dylan documentary “Don't Look Back” (1967), but he still wasn't entirely familiar with the whole scene organized by festival producers Lou Adler and John Phillips (of The Mamas & The Papas). He claims he didn't even know who Janis Joplin was (they later became friends), and had only heard snippets of Jimi Hendrix before. Fortunately, Pennebaker and his team, including Direct Cinema stalwarts Albert Maysles and Ricky Leacock, were able to employ their hand-held cameras, mobile direct sound, and versatile 16-mm Ektachrome stock with free-wheeling versatility, sometimes capturing entire sets by the relentless parade of star acts, some already legendary, others whose fame would be launched in no small part by the festival and the film. 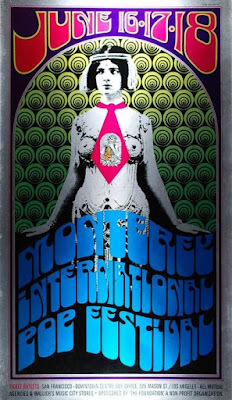 “Monterey Pop” eases into this now-fabled launch of the Summer of Love, waiting nearly ten minutes to actually get to the music, focusing on the crowds of flower-power youth completing their solemn pilgrimage. One bright-eyed fan promises that it's going to be like Easter and Christmas and New Year's all rolled together and that “the vibrations are just gonna be flowing.” Police worry about the rumored threats of the Hell's Angels and Black Panthers, but joking interactions between hippies and cops suggest that all will be well. The rest is the stuff of legends, as vital and vibrant today as when first captured on film. Grace Slick and Joplin at their peaks. Cass Elliott charming the audience. Hendrix setting his guitar aflame. Otis Redding just months before his tragic plane crash. All amazing, but can any of them top sitar-master Ravi Shankar completely owning not just the crowd, but a whole new musical world with a performance that staggers belief? No need to pick your favorite act. Who could? If there's any disappointment with Pennebaker's magical film, it's that it's too damn short at just 79 minutes. But if you finish feeling like you could listen to hours more, well, that's just what this Criterion Blu-ray set is for. The films in this 3-disc set are presented in their original 1.33:1 aspect ratios. 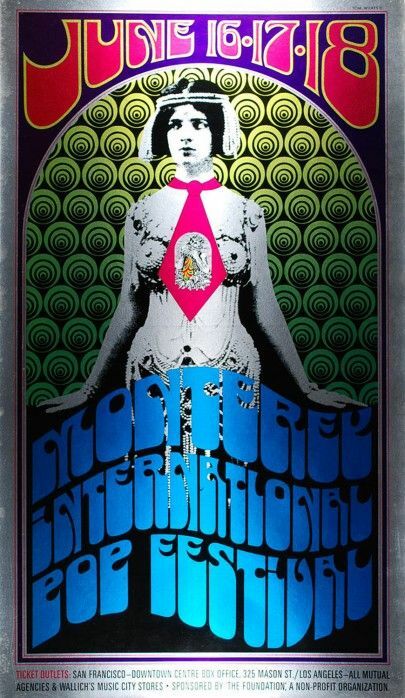 After the original 2002 SD-DVD release, Criterion re-released “Monterey Pop” (see below) on Blu-ray in 2009. However, this 2017 Blu-ray re-release features new 16-bit 4K resolution transfers. I don't have the 2009 Blu-ray to compare to, but the difference between these transfers and the 2002 DVDs represents a considerable improvement, a total transformation really. Of course the audio quality is going to be of greater interest to those considering a double dip. Linear PCM and DTS-HD Master Audio 5.1 mixes are available options for the films in this set. The 5.1 mix, newly remastered from the original 8-track audio, are exceptionally robust with no drop-off or distortion audible anywhere. It sounds even better than you'd imagine possible for a concert captured with mobile synch sound equipment of the '60s. I can't imagine it can ever sound better than this. No subtitles are provided, which I suppose isn't a big deal, but I still wouldn't mind having them. It's easy to get confused by the many Criterion releases of “Monterey Pop.” It was first released as two separate DVDs in two separate keepcases back in 2002. They then released the set again on Blu-ray in 2009. And in 2017, they are releasing both a single-disc ob Blu-ray and the three-disc set which is reviewed here. What you really need to do is that this three-disc set includes all the original extras from the 2002/2009 releases and also adds a second disc consisting of over two-hours of outtakes/extra performances from the festival. We'll get to it all eventually. Disc One includes the main documentary (79 min.) which is accompanied by the 2002 commentary track by Pennebaker and festival producer Lou Adler. Older features also imported include a 2001 interview with Pennebaker and Adler (29 min.) and interviews with John Phillips (16 min. ), Cass Elliott (12 min. ), David Crosby (9 min. ), and Derek Taylor (29 min.). More older material: promotional TV and radio spots, festival ephemera (including a photo essay by Elaine Mayes), and images of the original festival program. New features on Disc One include a 2017 interview with Pennebaker (15 min. - it's actually a mix of three interviews) and a 2017 interview with Lou Adler (12 min.) These cover some of the same material as their joint 2001 interview. 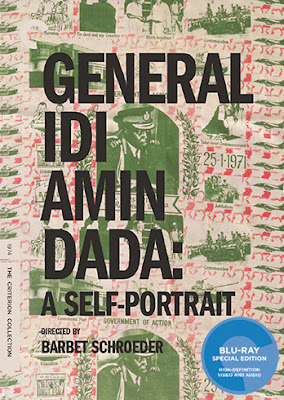 In addition, the disc includes the short film “Chiefs” (1968, 20 min. ), directed by Ricky Leacock, concerning a convention of American police chiefs in Waikiki. 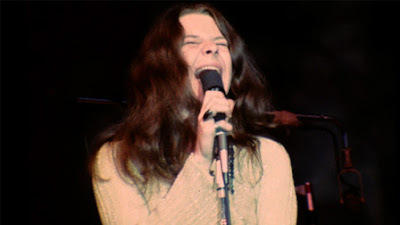 It's relevance to “Monterey Pop” is based mostly on Leacock's involvement in both projects. Disc Two will thrill music lovers with 129 minutes of additional musical performances from the festival. I've done my best to list them in detail. They are organized by each day of the three-day festival. The disc also includes footage of Tiny Tim performing in the Hunt Club (the festival's official green room), four short songs in all. And we still haven't gotten to perhaps the most substantial extras in the set. 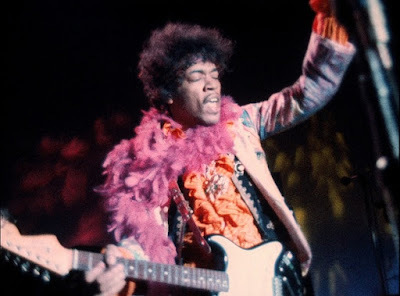 This disc includes two more Pennebaker films: “Jimi Plays Monterey” (49 min.) and “Shake! Otis at Monterey” and you should be able to figure out the subjects of both films, which are wonderful. “Jimi” has a 2002 commentary track by music critic Charles Shaar Murray and also a brief interview with Pete Townshend (1987, 4 min.” “Shake!” comes with two commentaries by music historian Peter Guaralnick along with a 2002 interview (19 min.) with Phil Walden, Redding's manager. These are all imported from the original 2002 SD release, but now in high-def. The thick, square-bound 72-page insert booklet includes essays by Michael Chaiken, Armond White, David Fricke, and Barney Hoskyns as well as Michael Leydon's article about the festival, originally published in “Newsweek” in 1967. Great high-def transfers and rich DTS 5.1 audio mixes are reason enough to recommend this upgrade, but the real treat is the more than two hours of additional concert footage included on Disc Two (listed above). This set has been available in some form for quite some time now, but comprehensive re-release genuinely deserves the title “The COMPLETE Monterey Pop Festival.” Strongly recommended.